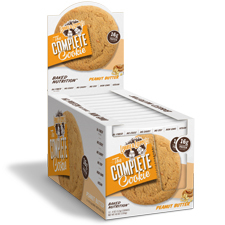 The All Natural Peanut Butter Complete Cookie (Larry’s favorite) is unbelievably peanut buttery and nutty! This great tasting Vegan cookie has no animal products, no dairy products and no preservatives. With 16 grams of protein, 6 grams of fiber, 0 grams of trans fat and 0 grams of cholesterol, you can see why The Complete Cookie is the perfect snack. 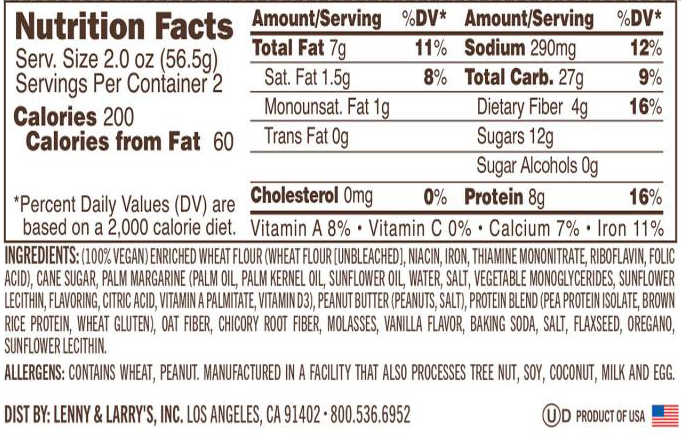 *Peanut Butter Complete Cookie® Flavour Shown. Ingredients may vary from flavour to flavour.